• Fully locking Rigid Post Mounts which make raising and lowering quick and easy. • Dovetail sliders allow for easy horizontal adjustment to load/prep samples. • Change between thin sample and whole animal imaging height quickly. 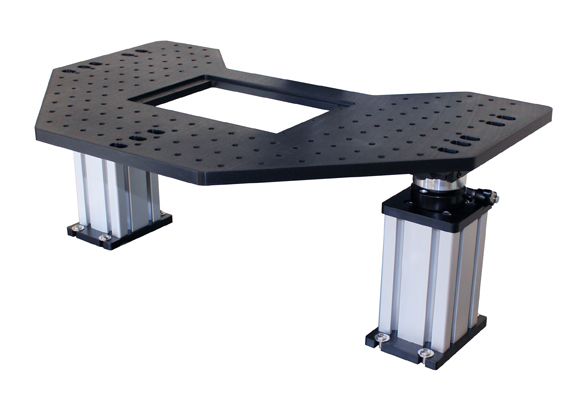 • M6x25 breadboard top surface for mounting micromanipulators and stereotaxic instruments. customize to meet your own requirements. • Multiple post heights accommodate an application. • Interactive control center with twin XY digipots for ultra fine positioning. • Automatic Programmable Power Settings mode (APPS mode) for adjusting motor power consumption.